An important part of our mission is to make sure the programs we create are helping people improve their mental health. There are two ways to measure this, one can be qualitative, where people can share their experience and say whether they feel the program has helped or not, which helps you understand their perception of the program. Another method is quantitatively, which aims to rigorously measure the effects of the program objectively and see whether there is actual improvement in people's mental health after using the program. For us this second measure is our main measure for capturing the effectiveness of our programs, but we also would love hear about your experience so feel free to email it us and share your feedback. In our relaunch article, we mentioned that we were excited about the initial results of the program and it's effectiveness, and we'll share some of those details at a later date. Today is that day and we'd like to share some of those results. First we will discuss some background on the program, what measures were used, and how the analysis was preformed. 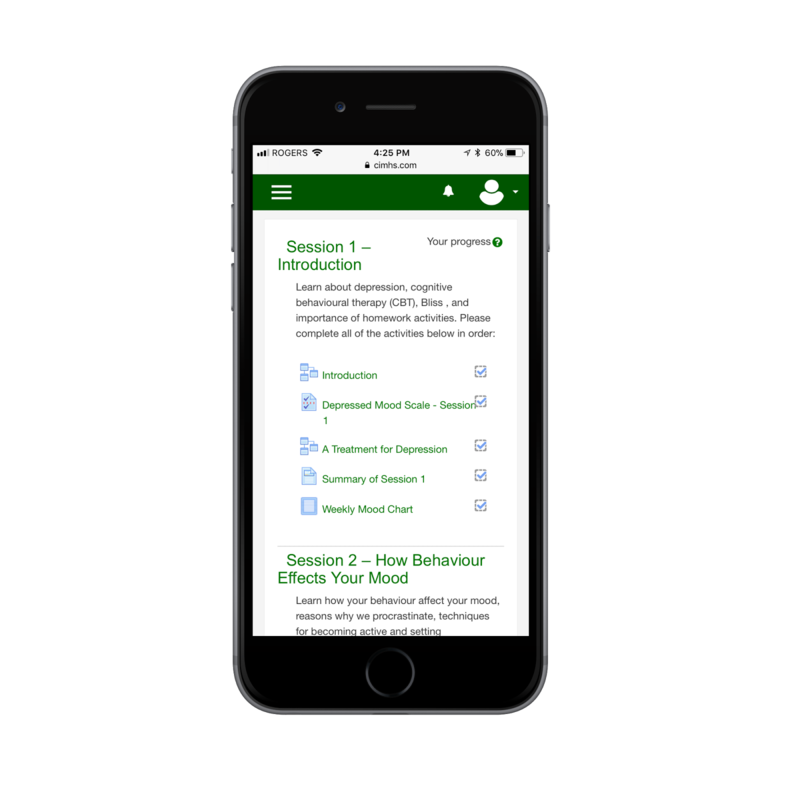 Currently we offer a free online therapy for depression program, this program teaches user skills and strategies for overcoming depression and is based on Cognitive Behavioural Therapy. Each week there is a new lesson on techniques that can improve people's mental health, but prior to the lesson we measure people's mood using a scientifically developed depression scaled called the CES-D. There is a minimum of 7 days between each measure, since each lesson becomes available one week after completing the previous session. The data is anonymized and then cleaned up. To measure change in mood at least two pieces of data is required, in addition, the program is concerned with helping those exhibiting depressed mood, so data is further cleaned up by selecting sets that meet this threshold at begining of the program as defined by the depression scale. To analyze the data a t-test analysis is performed on the initial mood score and the final mood score available. An initial analysis was performed in similar fashion between the first and second mood scores. Both analysis showed improvement in mood scores, more important the changes were statistically significant and had a p-value of < 0.05. The initial test between first and second mood scores had a t-value of 2.32043. The p-value of .024614. The initial and final mood score test had even more significant results with a t-value of 2.81558. The p-value of .007043. The box plot below captures the results of this second test. These are very preliminary results with limited datasets, and has been only analyzed internally so further analysis using different statistical tests, more data, and outside validation would help further establish these results. Overall we are very encouraged by these results and looking to continue analyzing the effectiveness of our program. 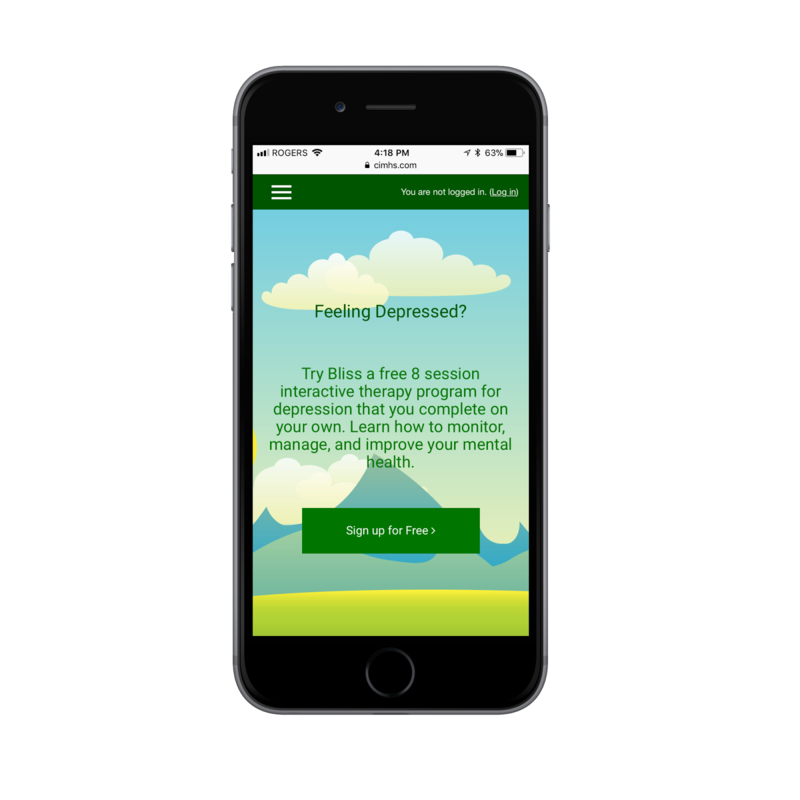 More importantly we are excited that the trend of these results support our mission to help people around the world improve their mental health. I'm excited to announce the launch of the new CIMHS website. It has been four years since the launch of the original CIMHS and our free online therapy program for depression. A lot has changed since then and it was time to update CIMHS this year, and we did! Our main goal is to make effective mental health services accessible to people around the world. This update couldn't be more aligned with that goal. We made the site more accessible, secure, and I have some exciting info regarding it's effectiveness, which I will cover in a later post. The biggest update to the site is making it accessible through mobile. Just like other sites the majority of traffic that we could generate to the site was coming from mobile, and unfortunately the site wasn't optimized for mobile creating a major accessibility challenge. 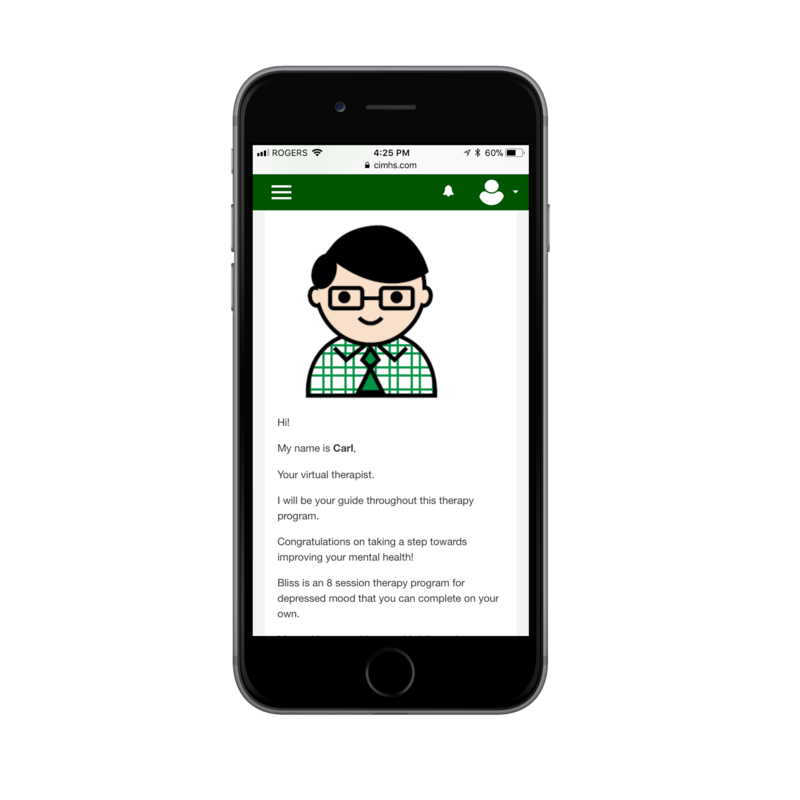 The new site is fully responsive and you can complete the entire program through your phone! Final major update is the addition of interactive worksheets. Prior to this update the worksheets were a PDF document that you could download and print to complete. 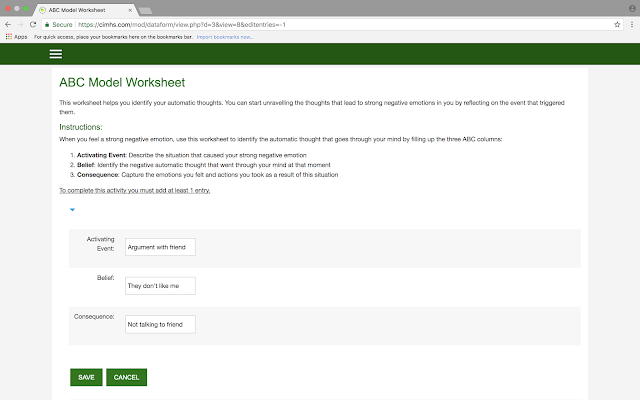 Now we have added interactive worksheets, where you can complete the worksheets online within the program. 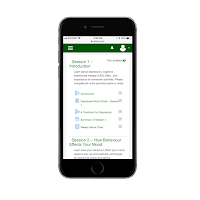 The worksheets also works on mobile, so you can easily complete your weekly assignments on the go from your phone. Security - enhanced security with the addition of https across the site. We are very excited about the new site and the potential for reaching more people on the devices they use everyday. More importantly we are excited about the results we've seen from the use of this product, but that information is worthy of it's own post, so for now just wanted to focus on sharing the news about our major product milestone. There are many people dealing with depression that don't seek help due to stigma or accessibility issues. These are people in your network of friends and family. 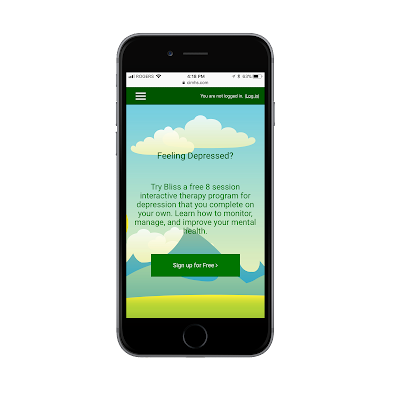 Please help us reach them by helping spread the word about our free online therapy program for depression by sharing our post and our website.